This work is the result of partnership between Collaborate, the Calouste Gulbenkian Foundation (UK Branch) and the Big Lottery Fund. It is based on UK-wide research with 40 structured interviews, a number of group sessions and informal conversations with a wide range of leaders within the independent funding sector (including a workshop held at the Association of Charitable Funders annual conference). 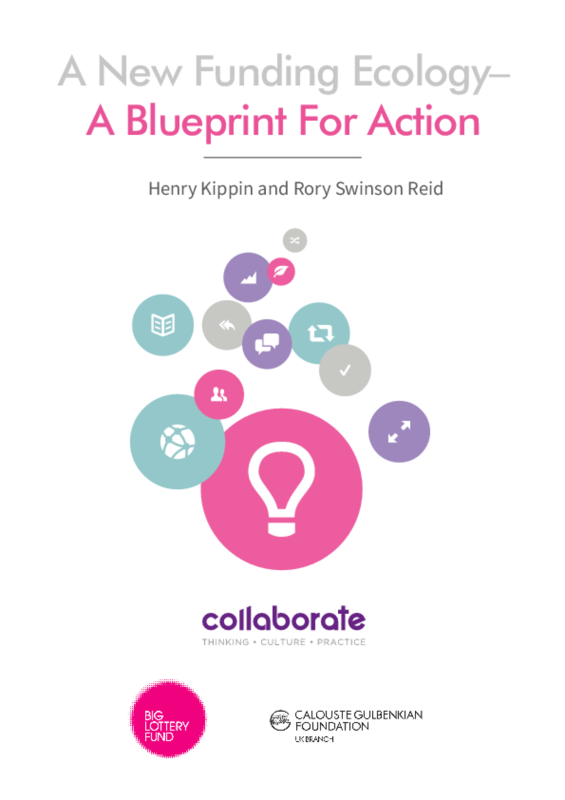 It draws on Collaborate's wider work across public services, and reflects expertise and analysis from a number of organisations and commentators looking at the sector from the outside in. The purpose was to substantiate the initial thinking developed in a first paper, work with a wider range of funders, and develop lines of inquiry and practical solutions using the framework which had been set about the funding ecology. Copyright 2015 Big Lottery Fund, Calouste Gulbenkian Foundation, Collaborate.